Deaerator Solutions, LLC is a leading supplier of Deaerator parts for Power, Commercial and Industrial plants worldwide. We offer a selection of replacement parts for most manufacturers. A Deaerator is designed to remove oxygen from the water used in plants and factories such as, utility plants, paper mills, and chemical plants. As leading experts in the Deaerator industry, KCDC combines our knowledge and experience to help you optimize your production facilities. Our involvement in ASTM, NACE and EPRI, keeps KCDC at the cutting edge of Deaerator design. Attain optimum performance from your deaerator with our high quality Deaerator parts. 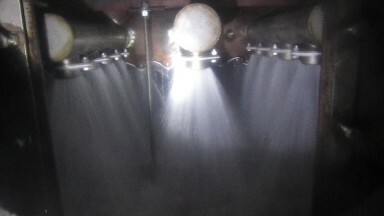 Our deaerator expertise services and parts will help you improve your Deaerator performance. We offer parts from a variety of manufacturers, even from companies that are no longer in business.